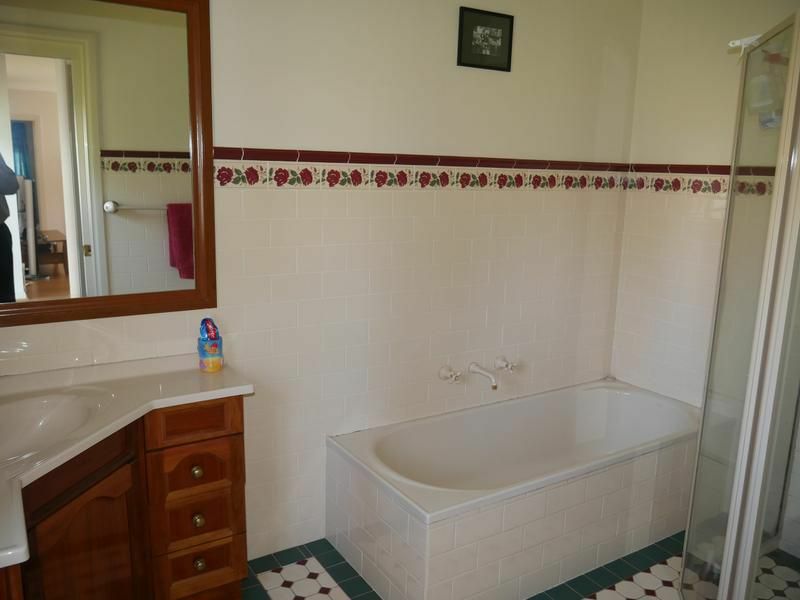 Finding a home that suits him and her is not always easy, but we believe we have it here. 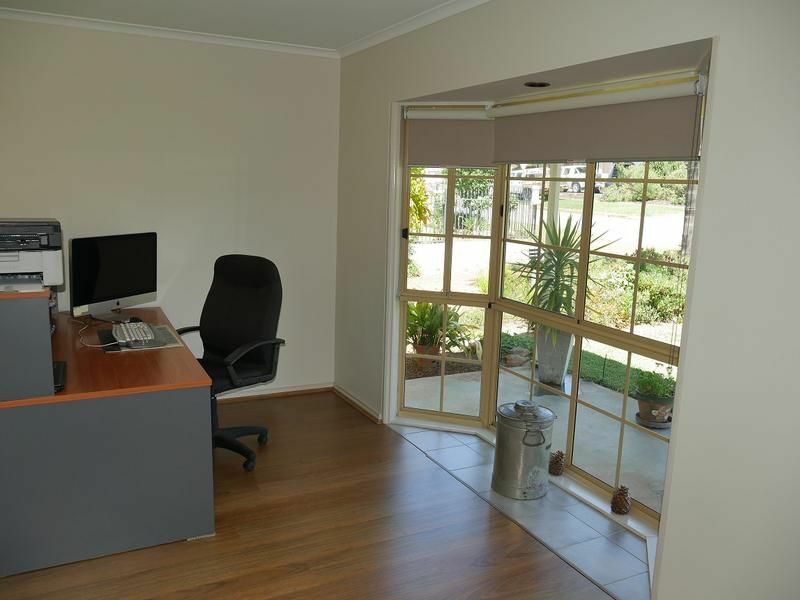 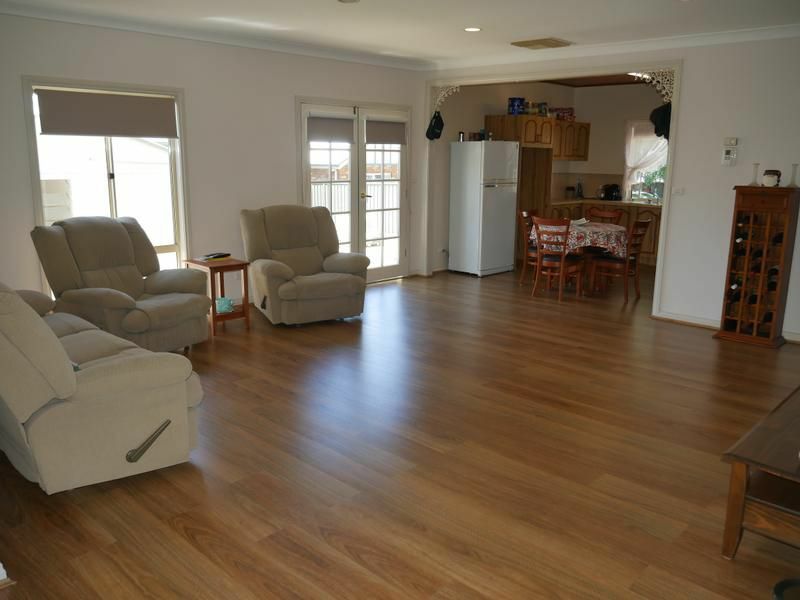 The home features three large bedrooms which all have built-ins, large open plan living area with kitchen adjacent, front sun room or study, evaporative cooling and gas heating. 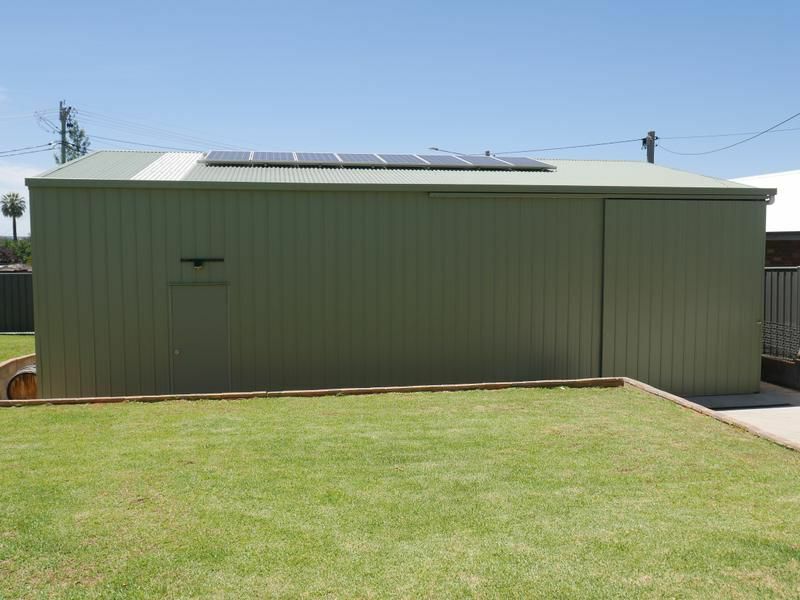 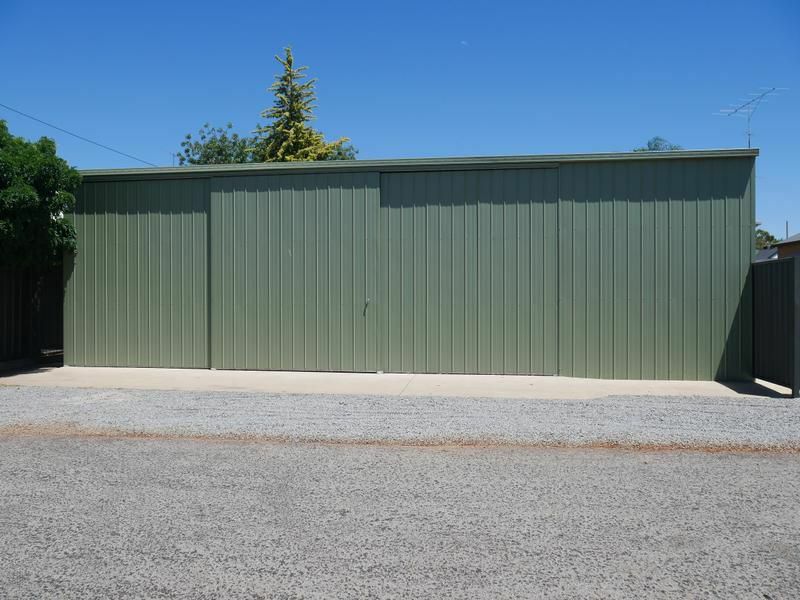 There is also a 12m x 9m colourbond shed with doors that are 3.5m high which is ideal for parking caravans or boats. 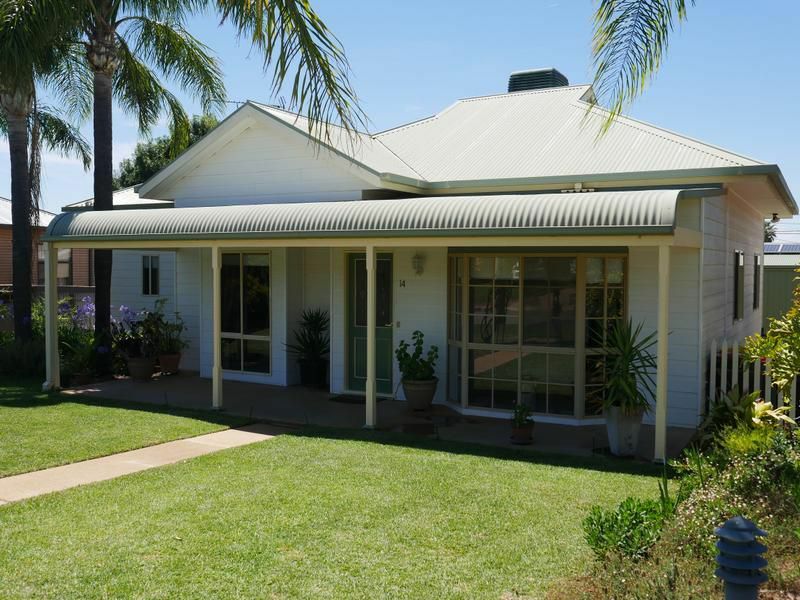 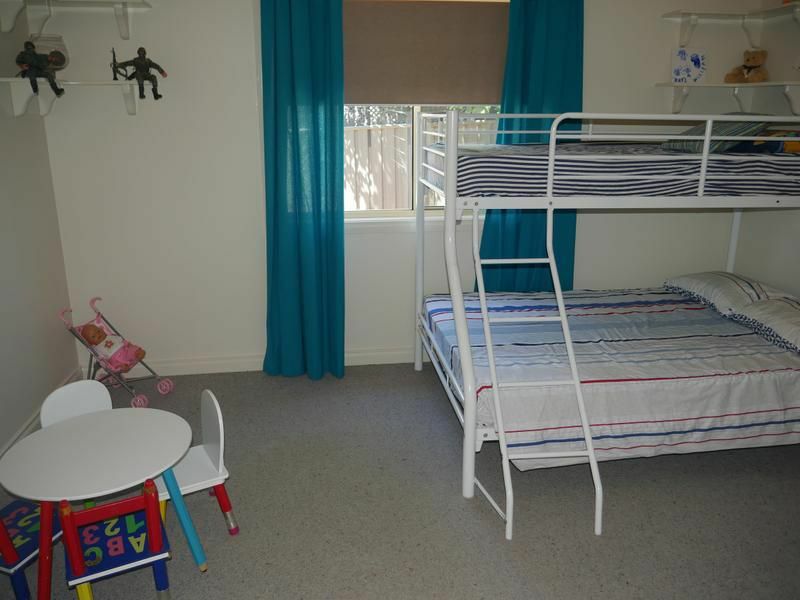 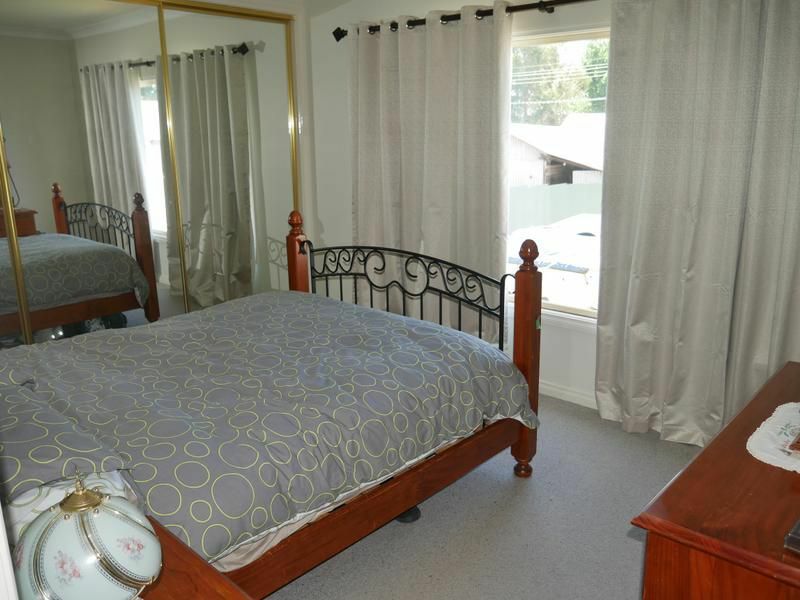 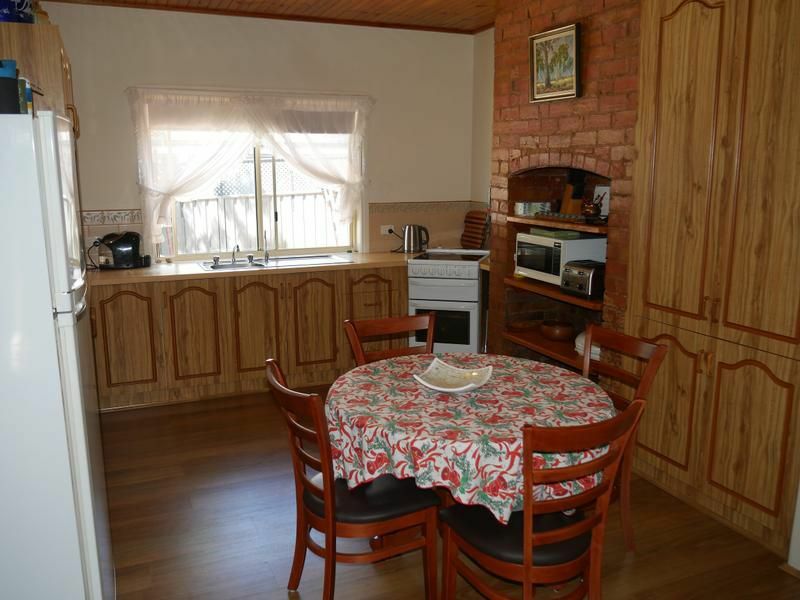 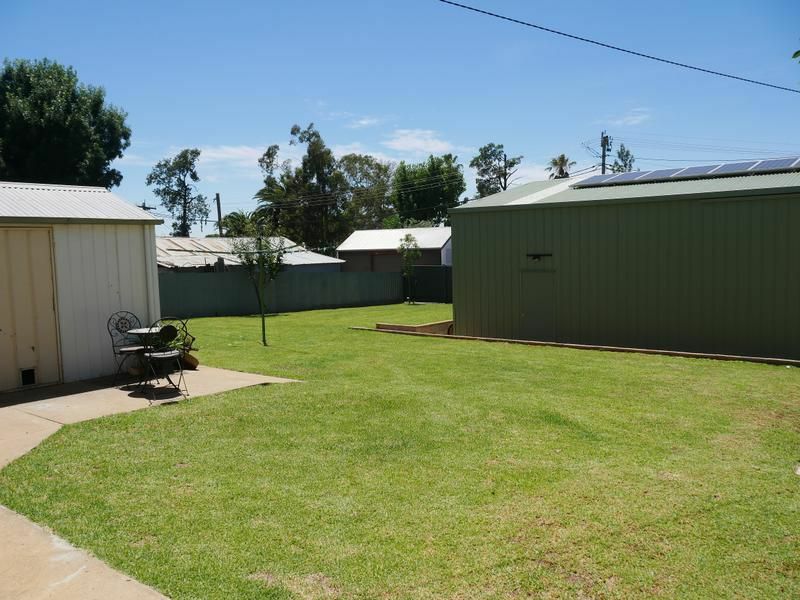 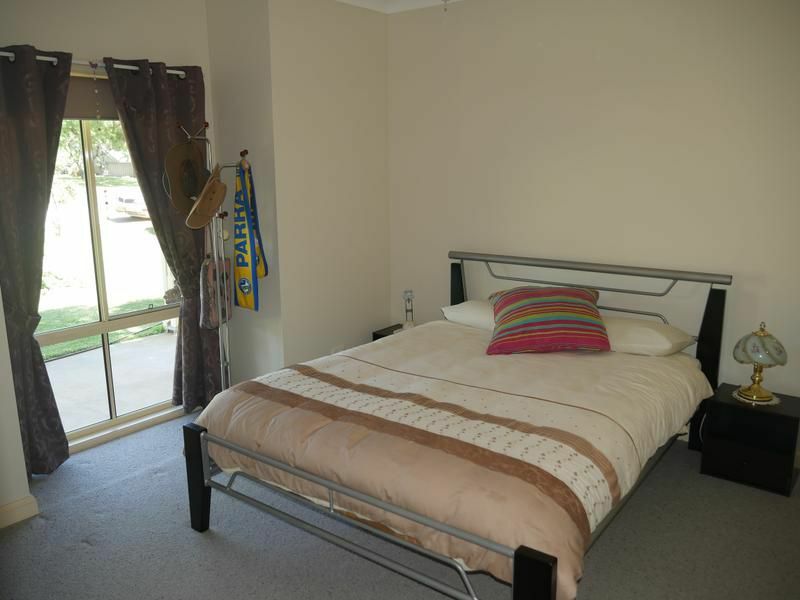 The property has front and rear access and is ideally located close to main street and sporting ovals.